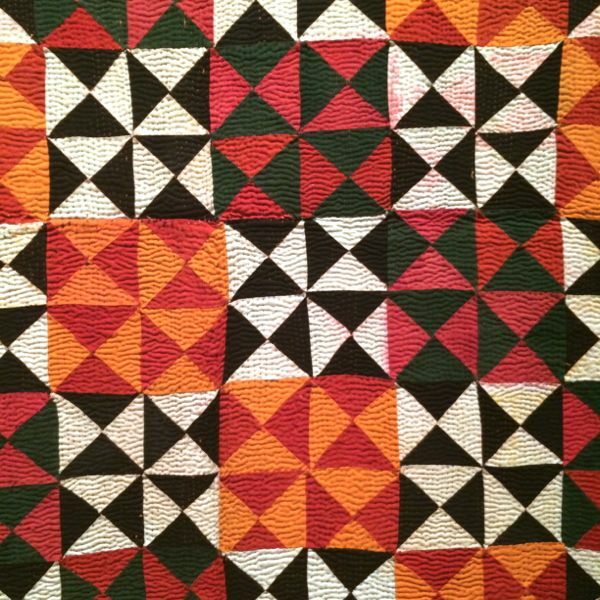 Posted on October 29, 2014 by Elizabeth E.
All of these quilts are from an exhibit I recently saw in Utah at the Brigham Young University Museum of Art. 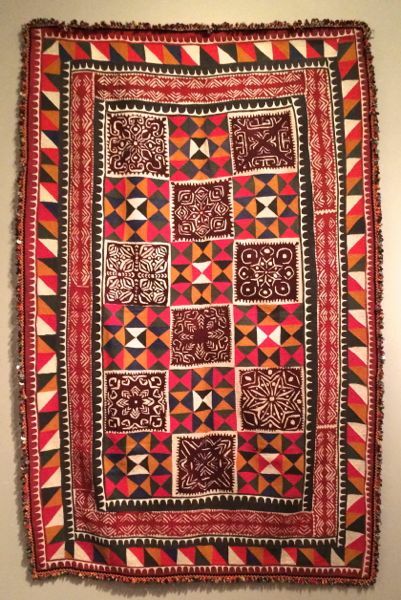 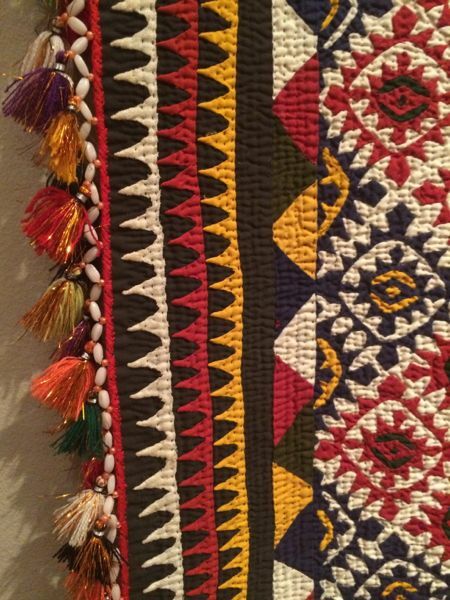 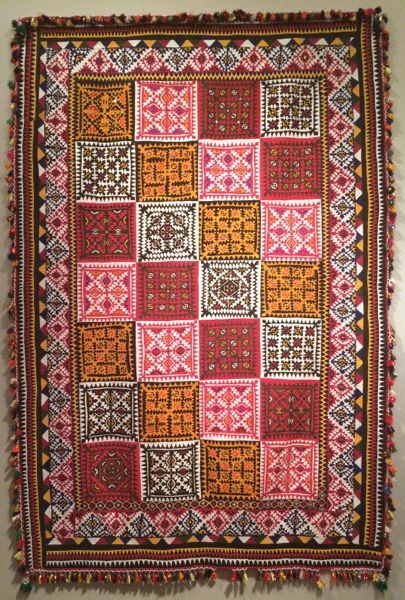 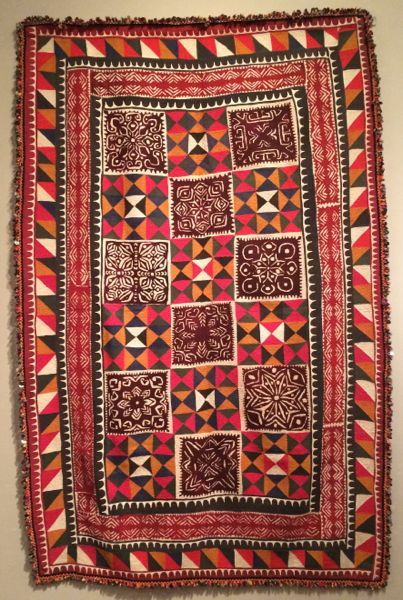 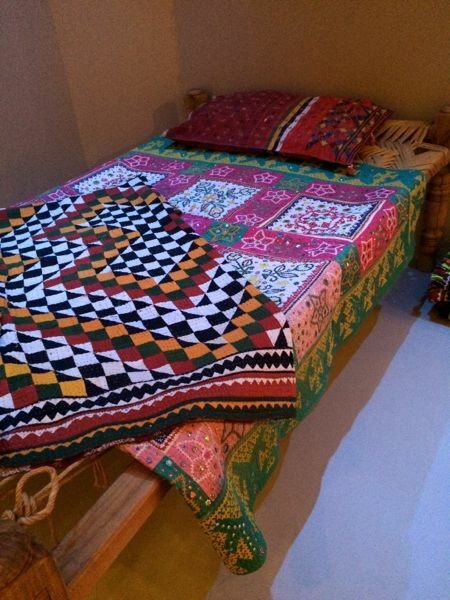 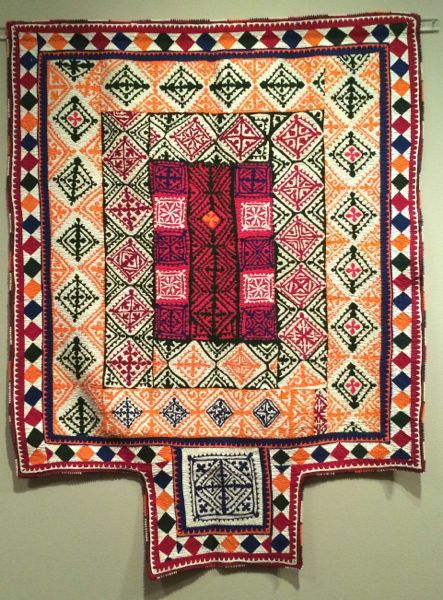 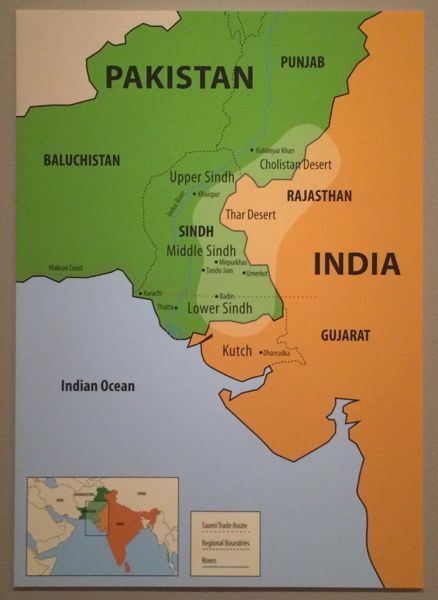 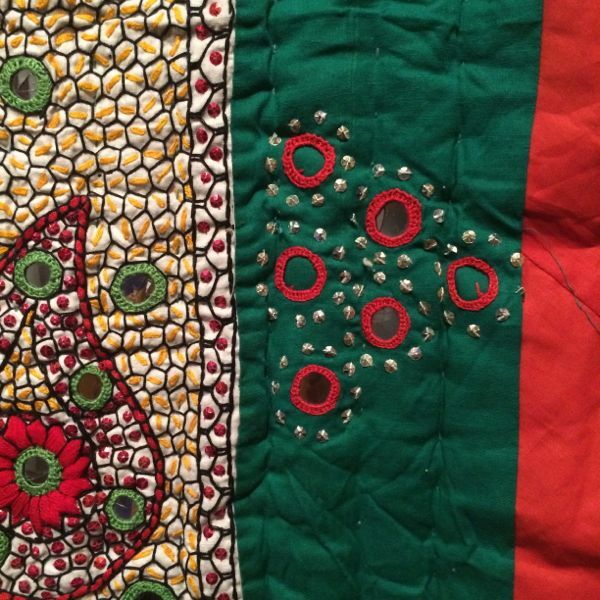 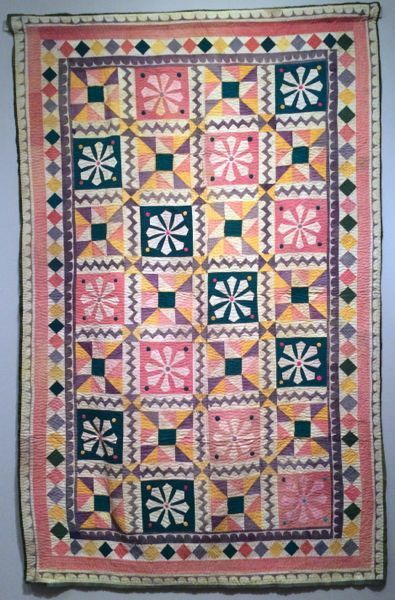 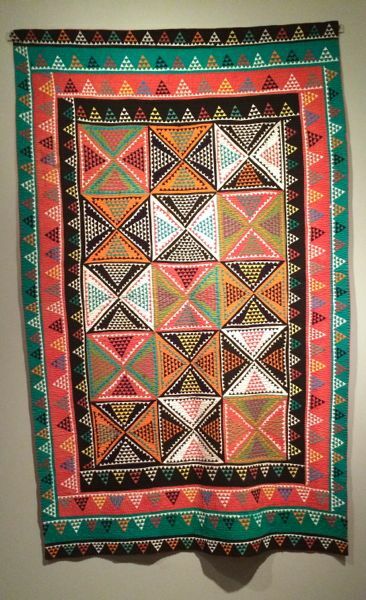 They are known as Ralli Quilts, and are from Pakistan and India (see map at end of post). 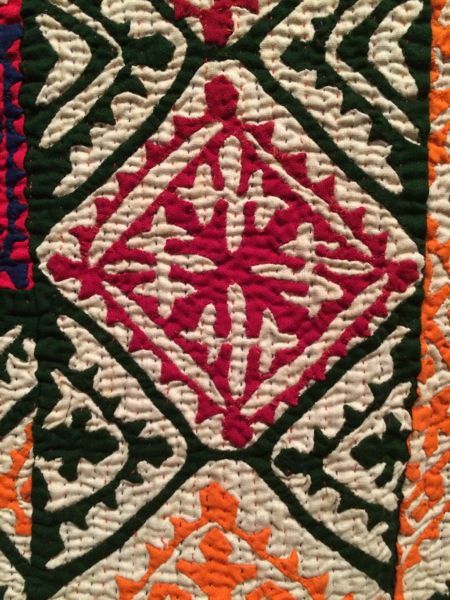 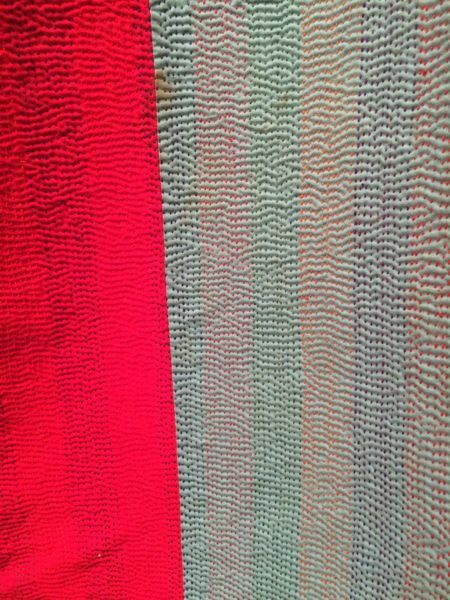 I was amazed at all the stitching, the detail, and the colors (like the quilt above–I couldn’t get my camera to adjust to the deep reds). 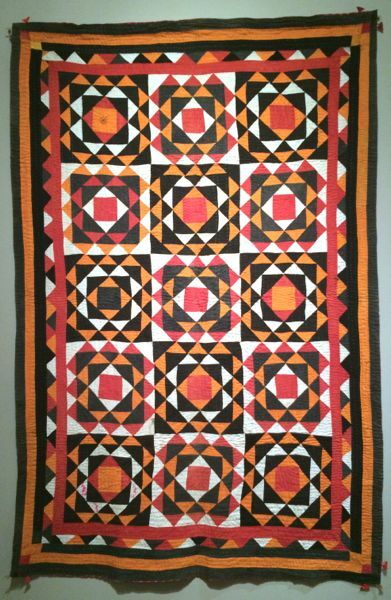 I loved the contemporary look of these quilts, many made in the 1970s. 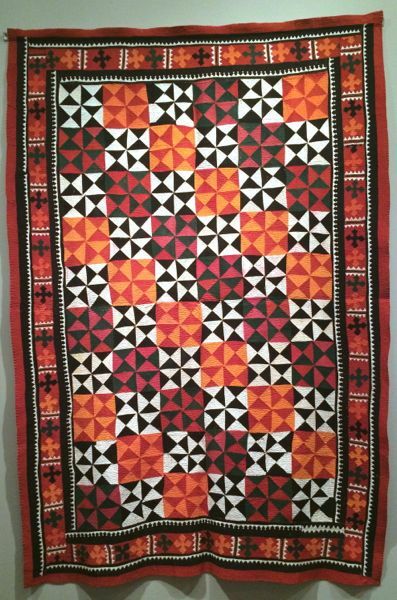 There are several sites that sell newer ralli quilts and can be found by a search on Google. 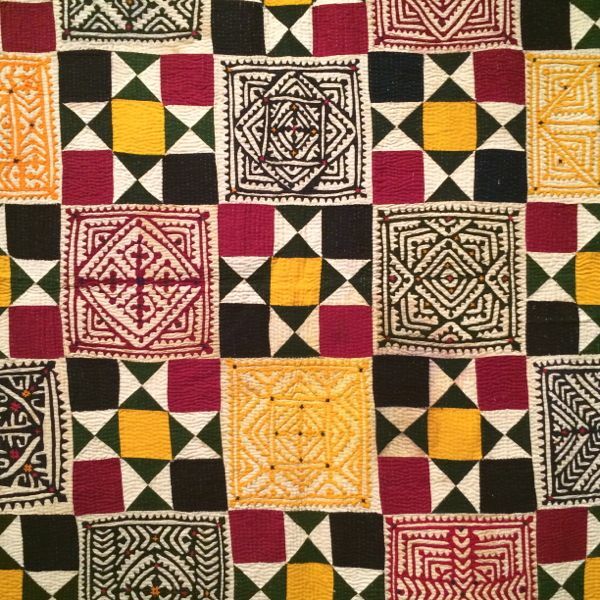 This reminded me of the Trip Around the World Quilts, a sensation on Instagram last year. 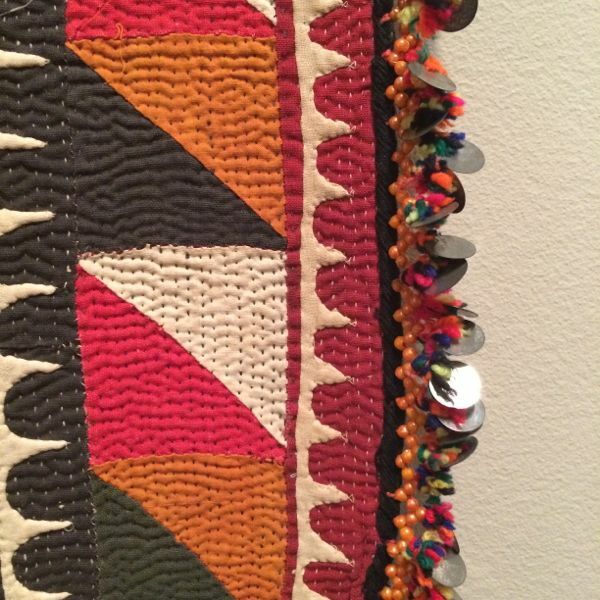 Improv piecing anyone? 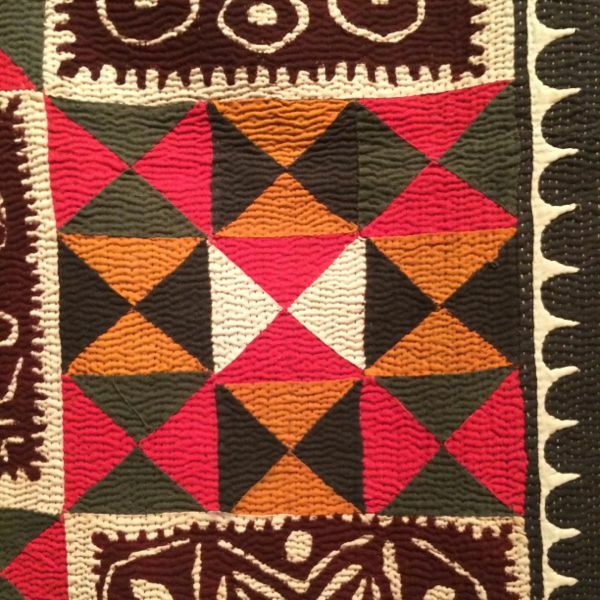 Often the women saved time by piecing printed textiles together, rather than doing their appliqué. 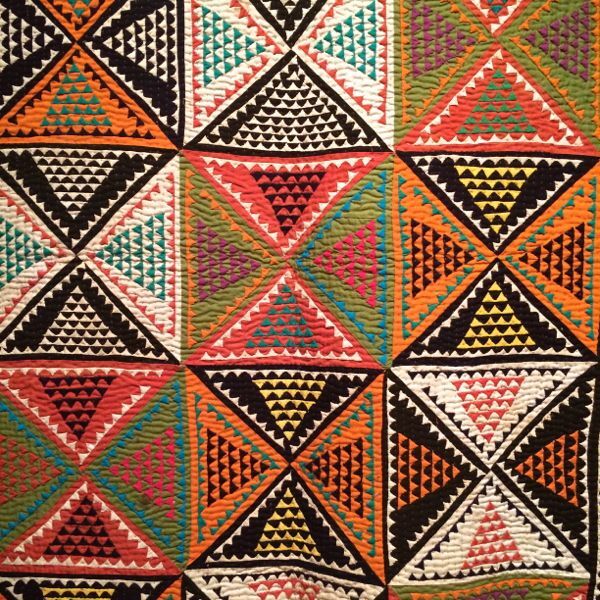 One of my favorites; I put the closeup on Instagram. 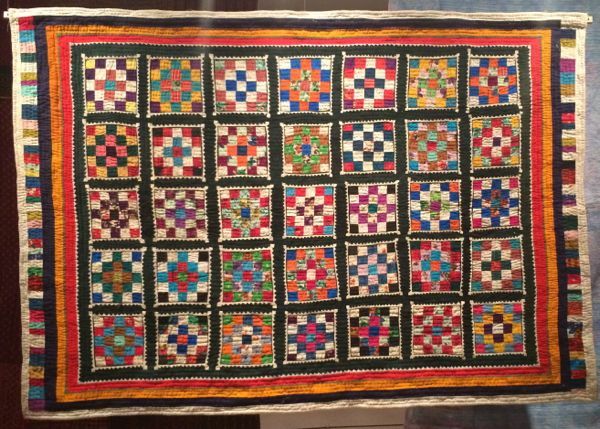 It was a good afternoon there at the museum, looking at quilts that are out of our quilting mainstream, a good antidote to the quilt market frenzy on social media. 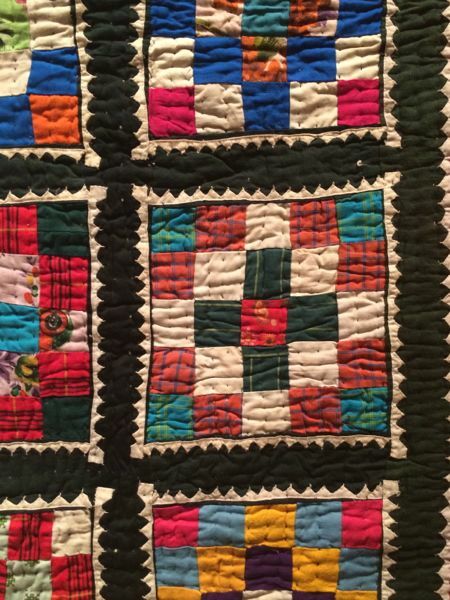 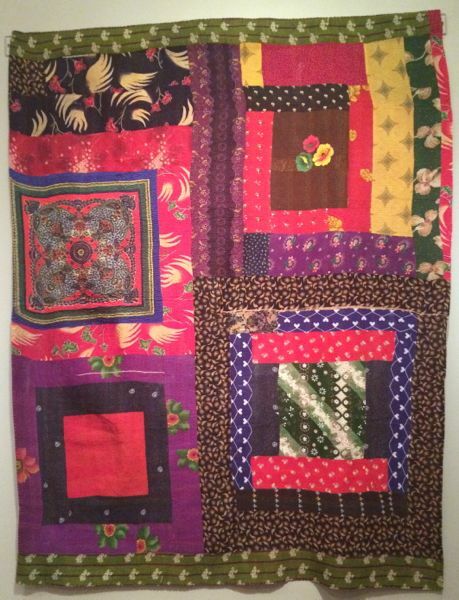 Their vivid colors and patterns reminded me that time spent with patchwork and colors can bring a quiet satisfaction and an entry into the wider world of quilting. 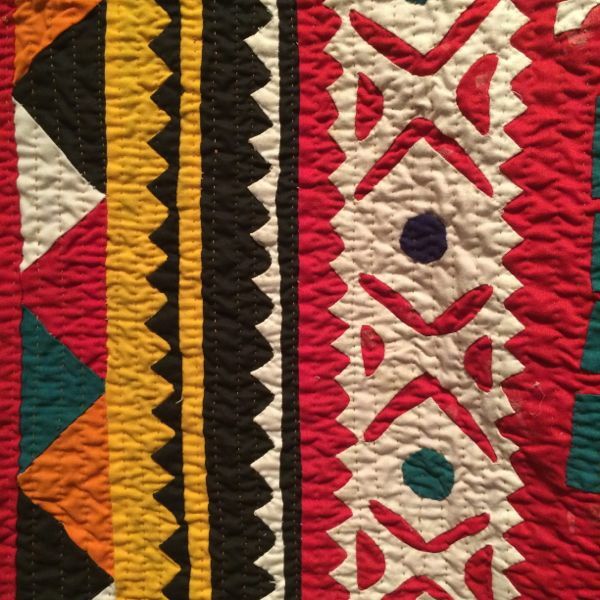 Our Four-in-Art quilt group will be revealing their final challenge of this year on November 1st. 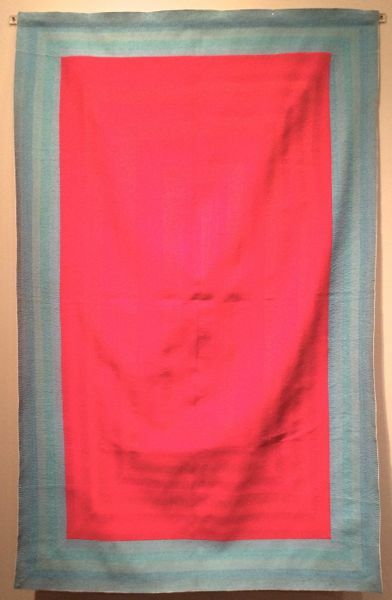 Occasionally we have an opening for someone who wants to play along. 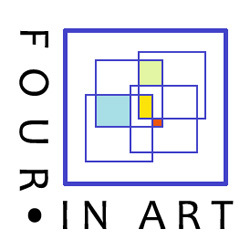 No shipping required, just a willingness to engage in new ideas, new techniques of your own choosing. 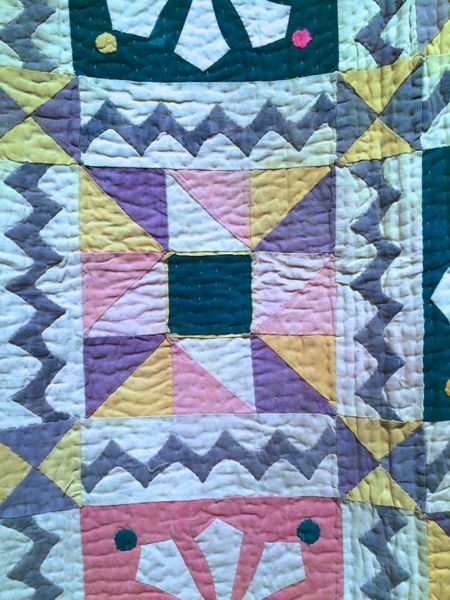 Leave a comment and your blog address if you are interested. 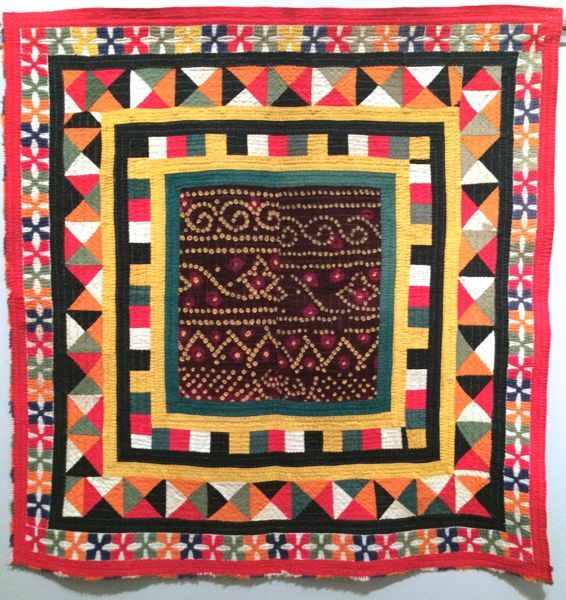 And then a couple of days after that, I’ll have my November Circle Block ready to show you, plus a variation that may interest you for the holidays!